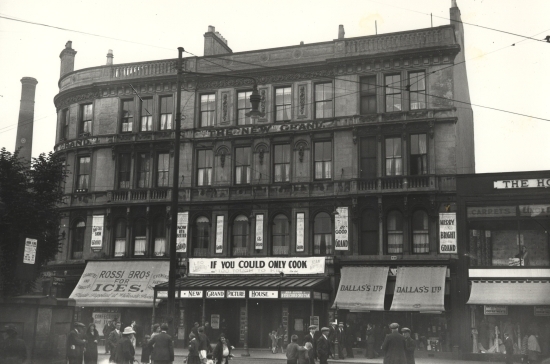 Opened 1919 on the site of the burnt-out Grand Theatre. Architect G Boswell provided seating for 1,775. Renovated in 1926, with a jazz-moderne interior. Sold to the Grove Picture House Ltd, 1936. Closed in March 1959 to become part of a department store. Demolished in 1966. 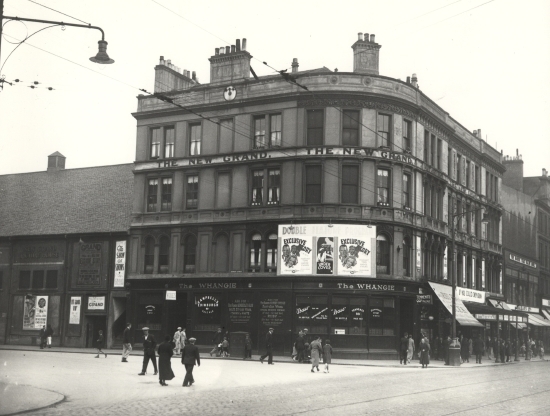 Photos courtesy of the Scottish Screen Archive. 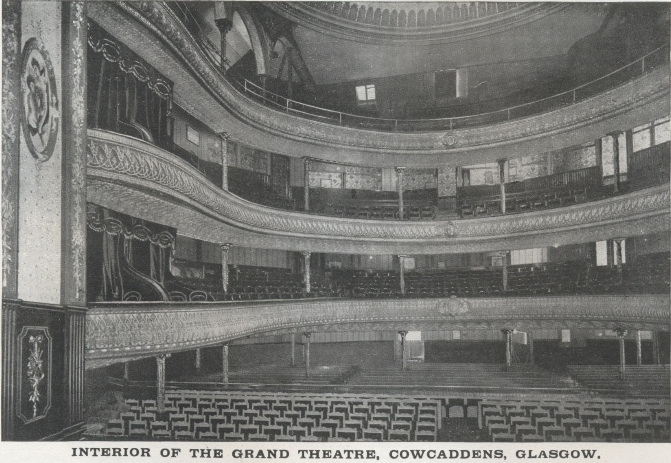 Interior picture below of the original interior of the Grand Theater, c.1904.